Three Wheels & Two Seats: Will the 3D Printed Urbee 2 Be Your Car of the Future? We’ve come a long, long way from the Model T. And if you think about it, our cars play a huge part in the journeys of our lives. I can still remember how my grandparents’ dark gray Lincoln smelled back in the ’70s, and almost feel those deliciously warm seats, heated from warm Florida days with the windows rolled down (with cigarette smoke wafting out, no doubt). I loved being dropped off for a weekend at their house, with my dad flying through their neighborhood (no worries about seat belts, kids!) to deliver me in our family station wagon, seemingly long as a house, with the newest body style, featuring—gasp!—wood paneling. You can mark the changes in your life by numerous cars and their ever-changing frames and features. From the basic, used sedan you learned to drive with—to the fancy red sports car you actually imagined yourself showing your stuff in with the music pumping—cars act as icons and have an impact on our lives, as well as the economy of the world. Manufacturing and production techniques are continually changing, and many would say there’s hardly a more forward looking industry. What will the car of the future look like? This has always been a common—and fun—question as we look ahead in life, and wonder how the landscape will change. One car of the future is already undergoing an important change. While few know of it, and probably virtually none have driven it, the Urbee 2 is a perfect example of the potential 3D printing may serve in the mainstream—and soon. From its inception as a concept car in 2010 and over fifteen years of R&D behind the Urbee, the goal of Winnipeg, Manitoba manufacturer Kor Ecologic has been to put this car on the roads and not only offer an alternative for drivers in the future, but in the here and now to break some records, as they have been working toward their original goal of entering the Guinness Book of World Records, traveling from San Francisco to new York on only ten liters of ethanol, thanks to a hybrid, 10-horsepower engine. So how long does it take to 3D print a car? In the case of the Urbee, which may be borderline at the DMV in terms of motorcycle or car (consider the compact, three-wheeled design), it takes around 2500 hours. Inspired by the shape of the water drop—one of the most aerodynamic shapes possible–the Urbee’s design came to fruition in a collaboration with Stratasys, printing it in ABS on a set of Stratsys Fortus 900mc 3D production systems. 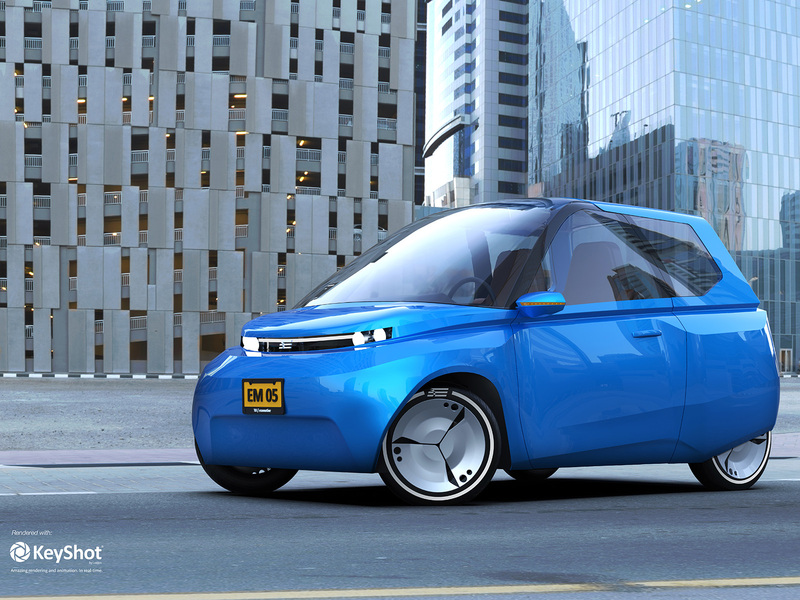 As the Urbee 2 evolves into ‘the urban vehicle of the future,’ the company sees it being 3D printed in one piece, and offering an even lighter weight than its predecessor at a new 1200 lbs. Crowdfunding for the second version of the Urbee has been in the works for some time, and it does appear that you can still donate through Paypal from their website, acting as a sponsor (their Kickstarter campaign several years ago did not the yield the results they’d hoped, surprisingly). While many manufacturers, from Lambourghini to BMW, have been using 3D printing for prototyping for years as well as the current manufacturing of select parts, a car with a 3D printed body, and even dashboard, is probably something we weren’t fathoming a few short years ago. And while the Urbee 2 is certainly not the first 3D printed car, they have shown unique ambition. In the last hundred years plus some change, cars have been a big part of our history from status symbols to commuters to often seeming like our second home as we spend so much time in them. As the years pass and now our children grow and learn to drive also, the landscape will undoubtedly continue to change, with new auto styles playing just as large a part. I suppose we can just imagine newer generations driving compact, energy-efficient 3D printed cars as they daydream about what their own ‘future’ cars will look like, with manufacturers continuing in their never-ending goal to create and drive the perfect car. Are you interested in a car like this? Tell us your thoughts in the 3D Printed Urbee Car forum over at 3DPB.com.